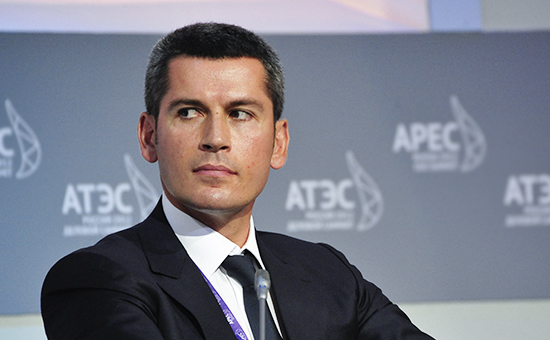 Ziyavudin Gadzhievich Magomedov is an Avar Dagestani - Russian business tycoon. He is chairman of Summa Group, a conglomerate invested in port logistics, engineering, construction, telecommunications, and oil and gas. He founded the company together with his older brother and junior partner, Magomed Magomedov, a former member of the Federation Council, the upper house of Russia's parliament. In the early 1990s the brothers worked in banking. Later they became shareholders of the port in Primorsk on the Baltic Sea. In January 2011 Summa, together with state-controlled oil pipeline company Transneft, bought a 50.1% stake in the port in Novorossiysk. In late 2012 Summa bought a controlling stake in FESCO (Far Eastern Shipping Company). Summa has rebuilt the Bolshoi Theater in Moscow. He became a board member of U.S. transport outfit Hyperloop One in October 2016; his Caspian Venture Capital Fund has invested tens millions of dollars in company. In the spring, the French media talked about the interest of the French police in the schemes that the businessman used to buy property in France. In early November, Russian investigators conducting the case of Magomedov told about a criminal case in France with which his ex-wife is connected. He considers the case against himself and his brother, Ziyavudin Magomedov, “an appeal to the owner of some problem holding”. Sitting behind bars, the head of the Summa group, after selling its stake in NCSP, is preparing a deal to sell its stake in the Transcontainer railway operator. Probably, they thus try to remove the arrest from the accounts of the company. Investigation authorities insist on its extension. Sitting in a jail on charges of fraud, Dagestan businessmen sold a project to build a multifunctional complex in Beskudnikovo, Seven Suns Development, controlled by the St. Petersburg clan Ryzhkov. But "Transneft" is striving for its removal. The Tverskoi Court of Moscow arrested the bank accounts of virtually all the structures in which the "Sum" Group owned significant shares. Among the victims - Podolsk Electromechanical Plant, which produces products for the Russian missile forces. Ziyavudin Magomedov's "Sum" group, who is in jail, is ready to abandon the creation of a national container operator, which the billionaire dreamed of since 2012. Fesco, which is controlled by it for a third, is looking for a buyer for a blocking stake in TransContainer. In the fight for a blocking stake in the carrier, Vladimir Lisin and Roman Abramovich can clash. From the company goes general director Peter Baskakov.